SPACE is proud to recognize Faculty member Philip Torre for his performance in Cedar Rapids Opera’s production of Carmen. Torre performed with “bravado,” the role of Escamillo, the bull fighter and love interest of the lead character Carmen. Carmen is often described as the quintessential Spanish Opera. The opera is known for its gritty and non-traditional characters. Philip teaches Voice, Theory and Solfege at SPACE while maintaining a healthy music career. He has studied at the Lyric Opera of Chicago’s Ryan Opera Center, the Manhattan School of Music, as well as the West Chester University of Pennsylvania. Philip boasts a lengthy list of accomplishments including performances as a featured soloist at the Calgary Philharmonic and at the De Vive Voix Festival d’Art Lyrique in France. We would like to start off the new blog by highlighting one of our talented faculty members, Antoine McKay. SPACE is proud to have had McKay teaching improv and drama classes for several years. McKay has appeared in numerous television series such as ER, Sports Action Team, and recently on Review with Forrest MacNeil a new series on Comedy Central. 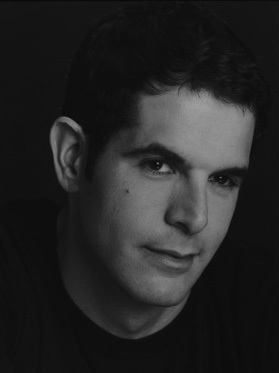 Antonie’s talent and work in improv earned him appearances with Second City, the leading name in improve sketch comedy. His love for improv shines brightly; he makes compelling statements on how improve can change your life during an interview on I am Big– an on-line inspirational talk show. When you see how passionate he is about his work, it is easy to understand how his enthusiasm enables him to be an excellent teacher. It’s hard not to share his joy when you hear him speak. McKay is also the founder of McKay Arts, a private theatre company which offers improve and acting at SPACE. McKay Arts offers ongoing shows every Friday at Pressure Cafe 6318 N. Clark, in Chicago, visit McKay Arts for more details. Check out McKay’s extensive list of acting gigs on IMDb and Stewart Talent Agency. You can also keep up to date with McKay happenings by following him on Twitter.